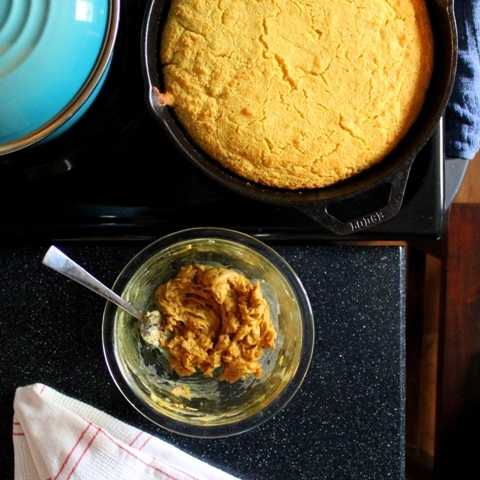 Mmm cornbread!! I love cornbread but haven’t had it in forever. This looks delicious…especially with molasses butter…wow! Thanks, Brandi, and yes, I so recommend the molasses butter — it’s what truly puts it over the top. If you end up making it, stop back on by and let me know how you liked it. I think you’ll love it =) Have a great rest of your week and talk soon!